The Cardinals, Red Sox and Brewers had the best stories with their local ratings this year. It’s always interesting to take a look at how the different MLB markets stack up in season-long local ratings, something we’ve previously done in 2012, 2014, 2015, 2016, and 2017. Maury Brown has published the average Nielsen ratings (obtained via Fox Sports) for the local broadcasts in 29 of the 30 MLB markets (not counting Toronto) over at Forbes, and there are plenty of notable takeaways from this year’s data. The Cardinals are back on top. 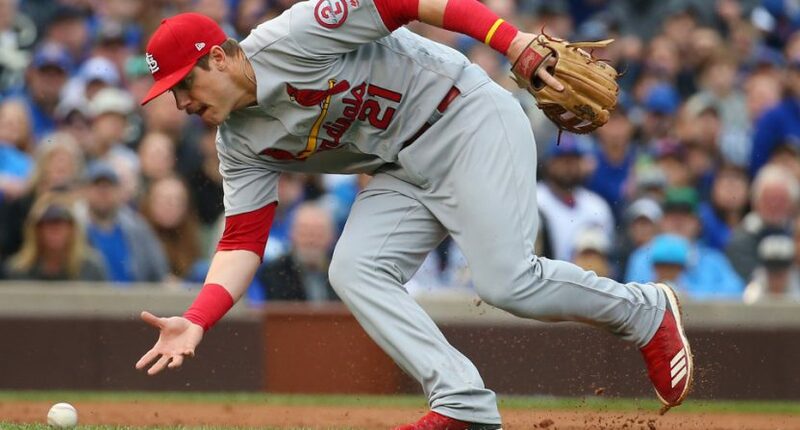 The St. Louis Cardinals have regularly been near the top of these ratings, finishing second in 2015 and 2016 and third in 2017, but they’re back on top of them for the first time since 2014. Their 8.05 average rating on Fox Sports Midwest is a four percent rise from last year. It’s a ways behind the 10.01 they drew in 2015, but ahead of the 7.76 they posted in 2014. It’s interesting to see their numbers so strong for an 88-74 season where they missed the playoffs for the third year in a row and fired manager Mike Matheny in July. But those ratings were helped a lot by their post-All Star break, post-managerial change run; they were averaging just a 6.76 at the break (although that was still the best in baseball at that point, speaking to generally improved ratings down the stretch). The Red Sox, Indians, and Brewers were second through fourth, but trending different ways: The Red Sox saw a 7.26 rating on NESN, a 26 percent year-over-year jump (maybe boosted by going from 93 wins to 108 wins). The Brewers saw a 41 percent jump to a 5.95 on Fox Sports Wisconsin, helped by an improvement from 86 wins to 96 wins. But while the Indians’ 6.85 on SportsTime Ohio was third-best in MLB, it was a 26 percent drop from last year (where they led all teams with a 9.22). They did drop from 102 wins to 91, but this was still far from a bad team. The Royals are out of the top 5: Kansas City led these ratings in 2015 (12.33) and 2016 (11.70) following the Royals’ 2014 World Series appearance and their 2015 win, and the team was also second last year with an 8.46. But their average rating dropped to a 4.89 this year, putting them sixth (behind the Cubs, who posted a 5.02). The Yankees posted their best rating in six years: The 3.60 average for Yankees’ broadcasts on YES was the best since 2012. Things are not great for the White Sox, A’s and Marlins: The White Sox were the only team to average a rating below 1.00 (a 0.68). They did that last year too with a .88, joined by the A’s at .68. The A’s actually showed some improvement this year, but their 1.07 was still second-worst, with the Marlins’ 1.08 (a drop from 1.32) third-worst. Angels and Dodgers see some improvement, but stay near bottom: The Angels’ 1.50 was fourth-worst despite Mike Trout and Shohei Ohtani. However, that was a rise over last year’s 1.11. And it should be noted that some of that’s about their large market; that rating translates to an average of 80,000 households, higher than the 52,000 represented by the Brewers’ 5.95. Meanwhile, also with a large market (and added continued carriage issues), the Dodgers were sixth-worst, but their 1.94 was a rise from last year’s 1.74. All in all, that’s a pretty decent local ratings story for MLB. TV ratings across the board are having some issues, but the overall baseball story is of local ratings at least holding steady, with growth in some areas. In the 2018 environment, that’s not bad.